"Happy to be a member of the adidas Basketball family for years to come! #ThreeStripeLife #Teamadidas." 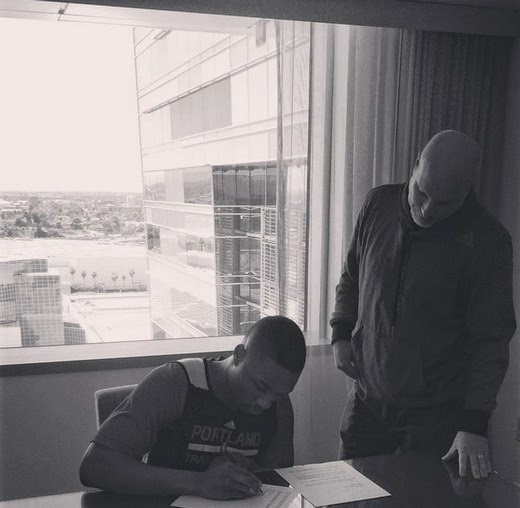 That's what the reigning 2012-13 Kia NBA Rookie of the Year Awardee Damian Lillard declared via his Facebook Page right after he renewed his contract with Adidas. He didn't specify the Conditions of the Contract, but sources are saying that it's a Mammoth contract also known as big contract extension. That's the reason why some people are expecting to see not only adidas Lillard PEs, but also his very own Adidas Lillard line.